See more about Google Home smart speakers below. 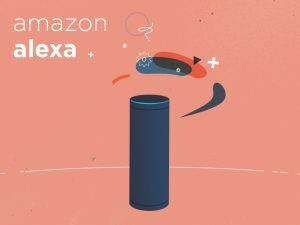 UPDATE (5/11/2018): We have learned that most devices featuring Alexa voice-activation should work with third-party skills, but two devices that have had issues in the past include Sonos One and Amazon Fire TV, so Amazon doesn’t “officially support” them. We have reached out to NPR, Amazon, Sonos, and our skill developer to try and learn more. “Alexa, play WUFT” (Please make sure you are only requesting W-U-F-T as any variation will fail). “Alexa, enable WUFT” (Please make sure you are only requesting W-U-F-T as any variation will fail). “Alexa, open WUFT” (Please make sure you are only requesting W-U-F-T as any variation will fail). 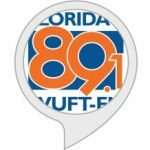 UPDATE: As of 4/6/2018, we have created two brand-new Amazon Alexa Skills for WUFT-FM and WUFT Classic! In order for them to work, you must first “enable” them. To enable the WUFT skill, just say, “Alexa, enable WUFT skill.” Then just ask your Alexa device to “open” or “play” WUFT every time thereafter. You can also enable the skill directly through your account on Amazon.com or by using the Alexa App on your smart phone. 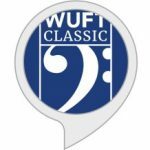 To enable the WUFT Classic skill, just say, “Alexa, enable WUFT Classic skill.” Then just ask your Alexa device to “open” or “play” WUFT Classic every time thereafter. You can also enable the skill directly through your account on Amazon.com or by using the Alexa App on your smart phone. Please let us know if you experience any difficulties with these or any other commands at: radio@wuft.org. Thank you! Your smart speaker is smart, but it’s still learning! The new way to experience public radio is here, but is still very much a work in progress. As we all discover how to use Smart Speakers to listen to public radio — listeners, stations, and networks such as NPR — we are learning that there is a bit of a learning curve to all of this. 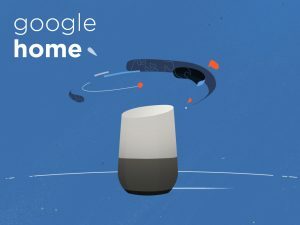 The algorithms used by Amazon’s Echo devices with Alexa voice recognition and Google’s Home devices with Google Assistant are very different, so the way they hear and interpret your voice commands may bring different results. And these results keep changing as we and they learn and make modifications to get more accurate results. 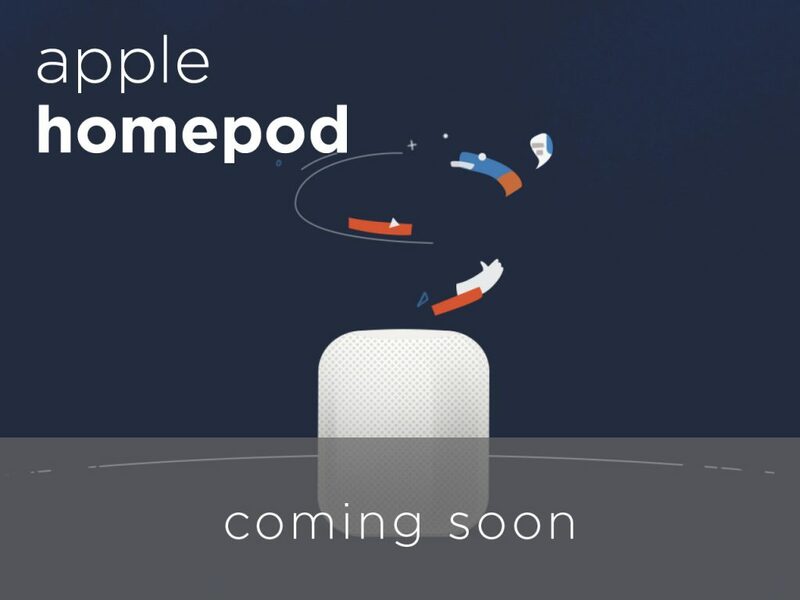 So, with that being said, let’s see some of the different ways you can unlock the world of NPR using your voice and Google Home or Amazon Alexa. With a few simple commands – or “skills” – you can access the entire world of NPR: all the latest news, newest podcasts, and discussions of the day. Give some of the utterances below a try and hear NPR’s critically-acclaimed, audio-rich stories come alive on your Alexa-enabled device. Depending on where you live and your GPS location, this should stream your local public radio station, WUFT, live. UPDATE: Up until 4/18/18, Amazon’s Alexa used the third-party company TuneIn to stream live radio and results varied depending on how TuneIn “brands” or identifies these streams. This is why some listeners may have had difficulty playing WUFT. 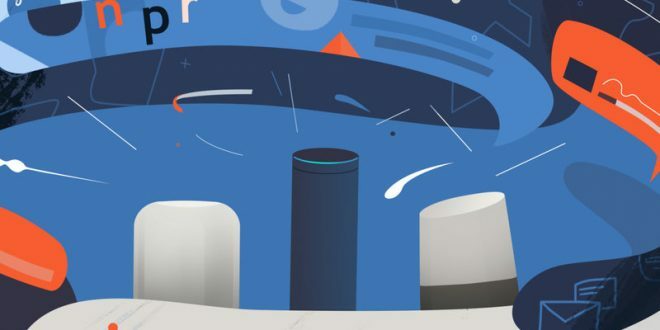 Now, after many months of close collaboration between NPR’s product and platform teams and Amazon, a new NPR Alexa skill has been released that enables listeners to access their local member station’s stream directly, without relying on TuneIn. When a listener asks Alexa to “play NPR,” they’ll be asked to select their Member station. You can identify your station by brand or call letters or browse a list of stations by zip code or by city and state. On your second visit, Alexa will confirm your preference and set it as the default. So, you can now either use this new NPR skill or the new WUFT skills recently released and referenced above. Thanks for listening and your support! To find any NPR member station, check out npr.org/stations. Bam, you should be all set! The entire world of NPR is at your command. With a few simple utterances (hopefully), you should be able access all the latest news, podcasts, and discussions of the day. Give some of the commands below a try and hear NPR’s critically-acclaimed, audio-rich stories come alive on your Google Home voice-activated speaker powered by the Google Assistant. *Currently, Google still is having difficulty playing WUFT when requesting “Play NPR.” However, “Hey Google, play 89.1 WUFT ,” “OK Google, play WUFT 89.1 FM,” or “Hey Google, play 89.1 ” should work (as of 1/1/19). See below for more. Currently, Google uses the third-party company TuneIn to stream live radio and results may vary depending on how TuneIn “brands” or identifies these streams. This is why some listeners have had difficulty playing WUFT. Please let us know if you experience any difficulties with these or any other commands at: radio@wuft.org. Thank you! To Play WUFT Classic: Try saying “Hey Google, play WUFT Classic,” or “Okay Google, play WUFT HD2.” Google Home and Google Mini were having difficulty finding WUFT Classic when requesting WUFT Classic, but it seems to work as of 2/12/18. Bam, you should be all set. 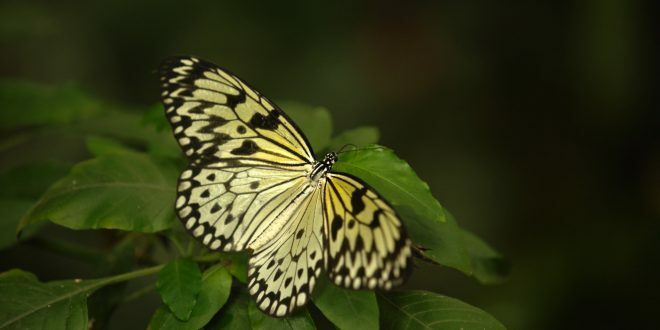 Print or download a PDF with all the NPR-friendly commands currently available for Siri (March 2019).